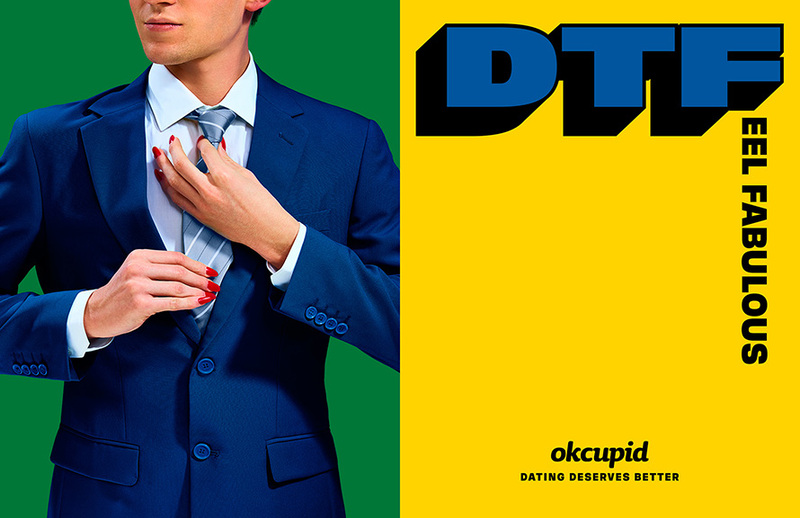 The ads are a colorful counterpoint to a modern dating scene that "treats emotions like a disposable commodity." 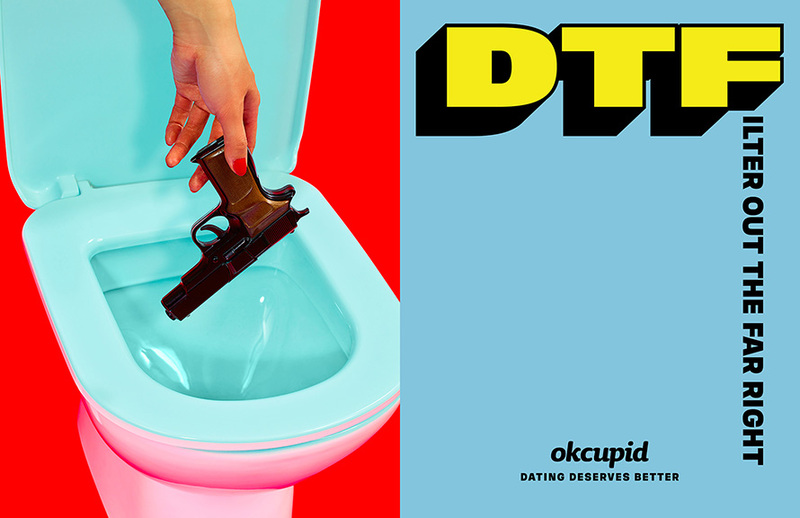 OkCupid is DTF, but not like that. 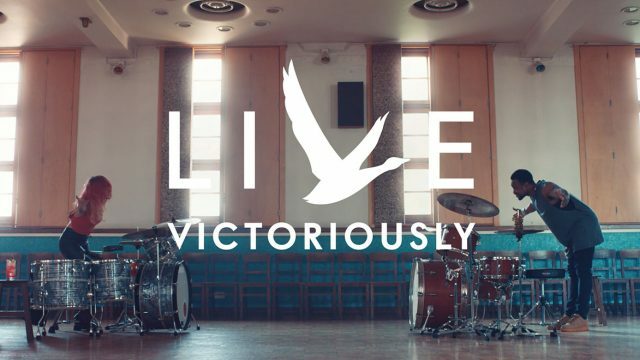 The headlines are matched with fun, brightly colored photographs. 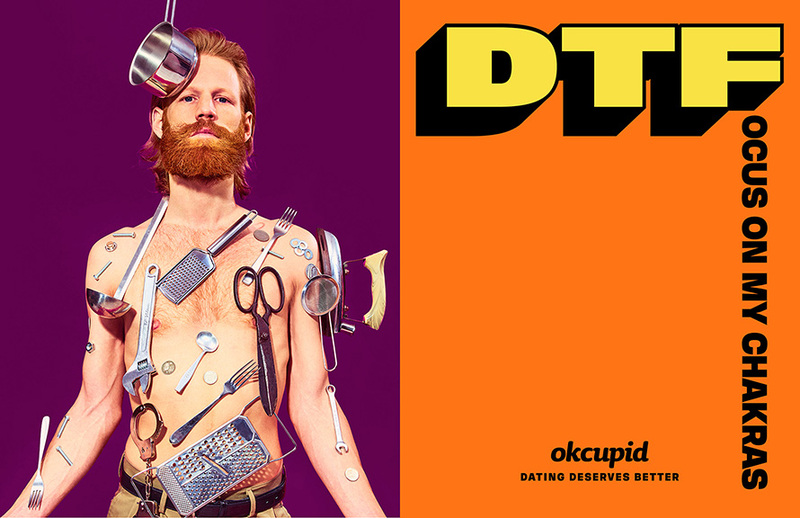 Several of the ads also have a political message, adding to the already provocative use of “DTF” as a theme. It’s a highly artistic campaign, too—W+K worked with artist Maurizio Cattelan and photographer Pierpaolo Ferrari, the creators of Toilet Paper magazine, on the ads. 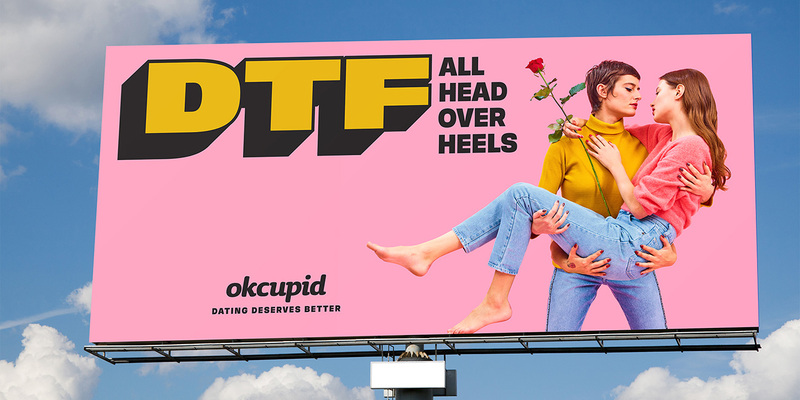 OkCupid CMO Melissa Hobley tells AdFreak that the new campaign signals the brand’s commitment to being focused on substance and depth, while also reflecting the issues and passions that people care about. 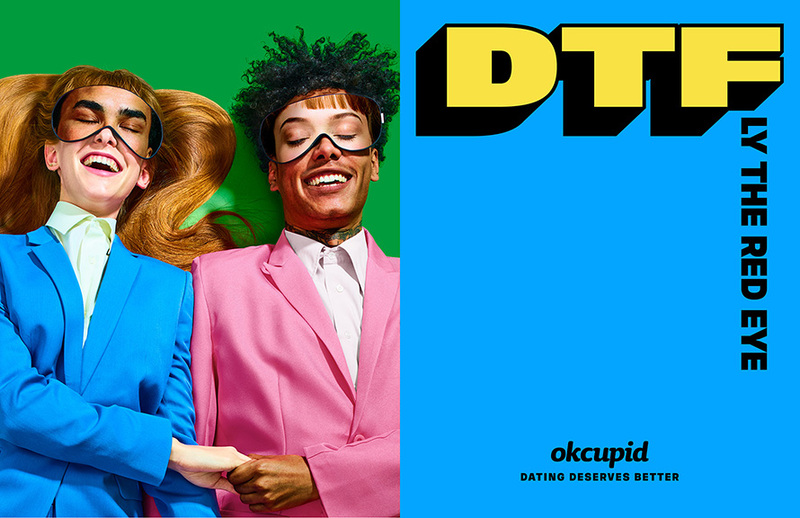 “In the current political and social climate, we felt a responsibility and saw an opportunity to play a part in changing the conversation about dating culture and empowering each individual to reclaim the meaning of DTF and make it theirs,” she says. 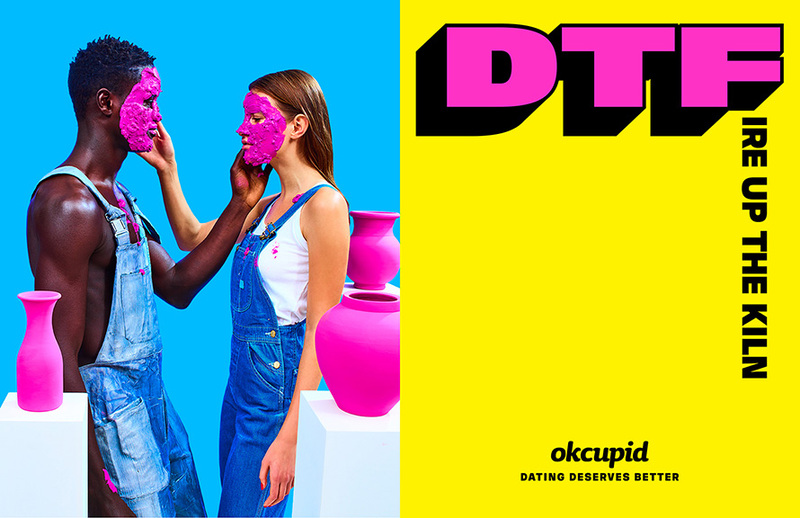 OkCupid aims to achieve substance and depth through the app’s features. 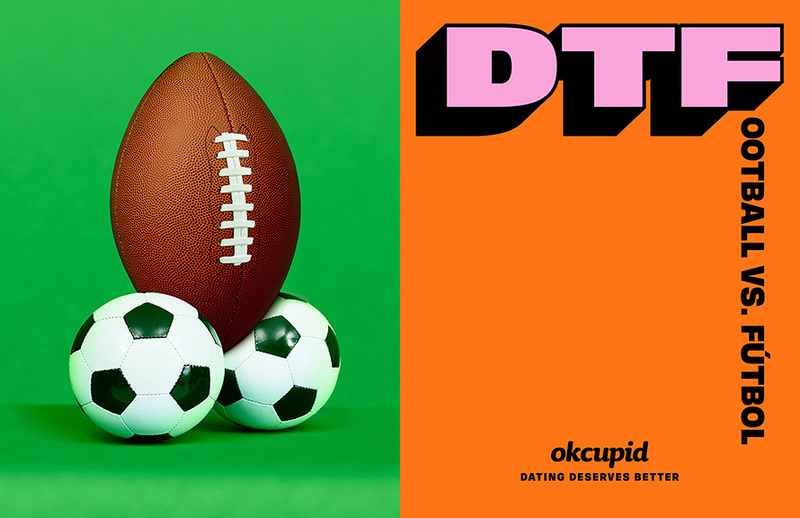 It asks users more than a dozen questions while setting up a profile and recently launched OkCupid Discovery, which lets users search by passions and interests. 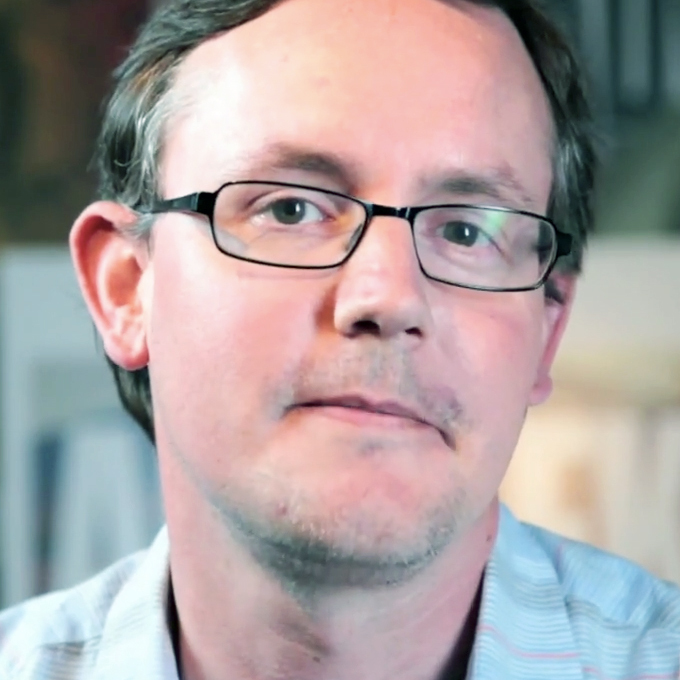 It aims to achieve relevance through the brand voice, having found traction by leaning into politics over the past year—including adding a “Trump Filter” to its list of questions. 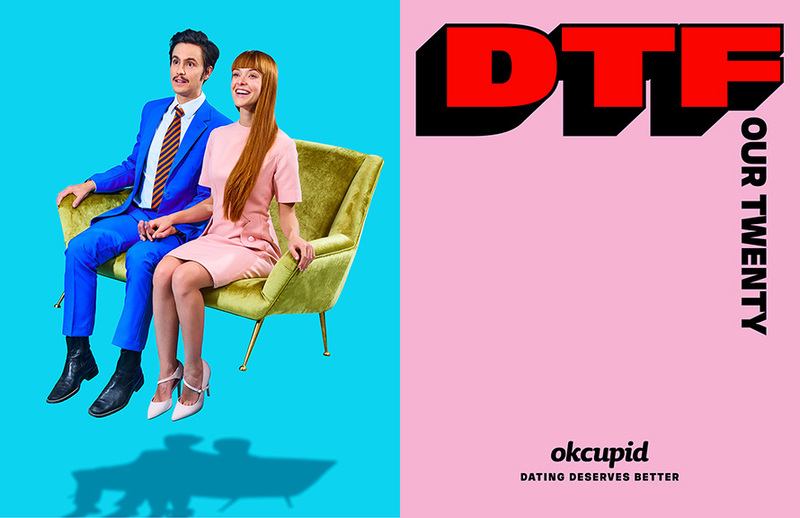 In terms of craft, the W+K creatives said the campaign is meant to feel playful and positive, as a counterpoint to where so much of the dating scene is headed. Cattelan and Ferrari were the perfect collaborators in bringing this positive message to life.